The days a receptionist sitting around waiting for a visitor or delivery is over. In today's modern office, administrative personnel - like all staff - wear many hats. Reception software is vital for keeping your visitors happy, your employee productive and your workspace secure. Here are some tools to help your receptionist, and your reception area, work harder for your company. No longer does the receptionist take your name and call the host employee's landline. Modern visitor management is composed of self-help check-in apps. 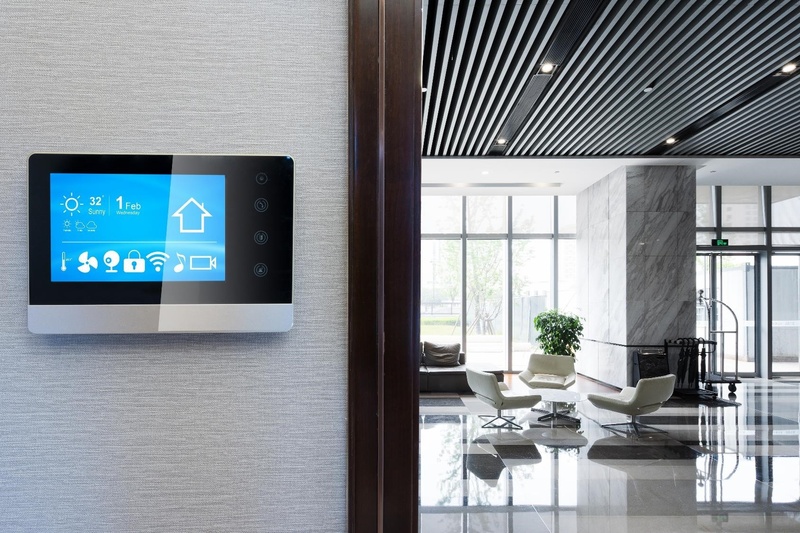 These high tech high touch technologies quickly and efficiently connect guests with the right person. They can send reception notifications by phone call, email, SMS and even Slack! They also create a cloud-based visitor logbook. With legible visitor sign-in information and visitor photos, you now have an audit trail. This allows you to analyze your reception metrics. They also improve the security of your work space. Visitor management systems can take photos and print visitor badges so employees can instantly recognize who should be on premise and who should not. Many firms want to protect themselves - and in some cases, their insurance companies or financial backers require it. It is important for offices to capture non-disclosure agreements to protect their intellectual property. And equally valuable for adventure and retail businesses to collect signed waivers from their customers. Asking your guests to sign an NDA can be awkward though. And it's even harder to manage and file these important legal documents. Fortunately the very same iPad receptionist visitor management systems automate the entire process. From capturing signatures to storing signed document in the cloud to easy retrieval, these eSignature apps make protecting your company fast and simple. Getting everyone on the same page regarding meeting times, conference room and asset availability can be touch. However many room scheduling software products have solved this problem. They visualize staff, room and equipment availability. When walking a visitor out you can quickly schedule meetings and appointments. Although the software brands are different, these products are widely used in both office and retail environments. Additionally, this software helps companies record room and asset utilization. Today's smart offices are flexible environments so you can analyze which spaces you need more of and which are used less and can afford to be transformed. Your visitors may already know about your company. Since they are there for business though, anything you can do to deepen the emotional connection is valuable. So instead of magazine and over-sized books about your city, give visitors the chance to see highlights of your organization. You can use monitors in your reception area or send an email or text to visitors with a link to your video. Whether it's your company history, an overview of products or your latest ad, this will fill the wait and build your brand. Several apps are designed to make it easy to manage and update your promotional materials real-time. Music sets the tone. Retailers spend lots of money making sure everything you hear while shopping pushes the desired mood and keep you there longer. Yes most office lobbies and reception areas are quiet, save for the tapping of dress shoes. That is starting to change. Offices are installing music apps. They can help visitors feel at ease, or even excited, about visiting your company. If your company uses audio branding, there is an opportunity to mix your own notes into the playlist. Make sure to get the sound right to enhance the mood without irritating visitors or distracting employees who sit near the reception desk. In today's fast-paced business environment, every asset should be used efficiently. That means your receptionist and admin staff must move about the office to where they can create the most value. That doesn't mean visitors and deliveries are abandoned though. 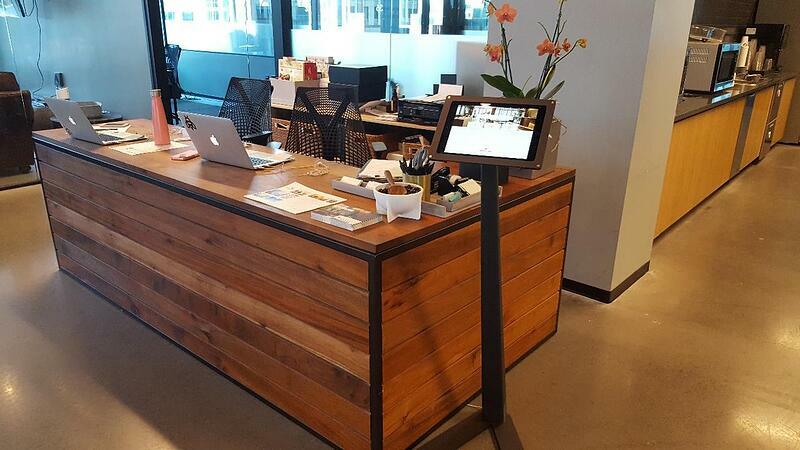 Rather, the modern office uses reception software to automate the entire visitor experience. Various apps can be used as visitor management systems, to schedule meetings and appointments, capture guests eSignatures and to promote your brand. Together these apps make visitors feel welcome and excited for their meetings while helping your company operate more efficiently.